In a world full of superheroes, sometimes it’s hard to recognize the heroes that don’t have shields or hammers. Heroes come in all shapes and sizes, and can be heroic in places as small as their village or as big as an entire island. 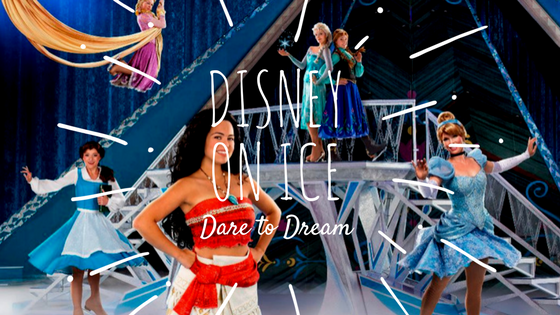 With Disney on Ice’s latest show, Dare to Dream, they showcase new and old heroes. Director Patty Vincent and choreographer Cindy Stuart have brought many Disney stories to the ice, including Disney on Ice presents Disney/Pixar’s Finding Nemo, Disney on Ice presents Follow Your Heart and Disney on Ice presents Let’s Celebrate!. Their backgrounds in ice skating and working with this very production have given them the ability to showcase their talents on and off the ice. The female presence is prevalent in more ways than one at Disney on Ice. From Vincent and Stuart to the show’s female host to each princess, the concept of heroes – female heroes – is just the message that this generation of children needs. Belle of Beauty and the Beast starts off the show, in an array of dancing silverware and pyrotechnics that ends in a surprising song and dress paying homage to the 2017 film. She not only saves her father from imprisonment, but saves the beast from a lifetime of punishment and shows her village that love is stronger than hate. Anastasia and Drizella helps change scenes as the Fairy Godmother (along with the audience) Bibbidi-Bobbidi-Boo’s Cinderella’s pumpkin into a glimmering carriage. The music is subtle as the royal ball takes place and when the glass slipper finally finds its match, it’s Cinderella’s belief in a wish her heart made that gives her a happily ever after. Although Flynn Rider thinks he’s the hero for saving Rapunzel from her tower, it’s her dream of seeing the lanterns – as well as the dreams of a few other ruffians – that at last brings her to the light. Her independence and fearless determination to get what she wants is her strongest trait and most powerful weapon. Queen Elsa might have lost her way in terms of being herself, but her sister Anna is determined to prove that their love can thaw the most frozen of hearts. Embracing their dreams, as unlikely as they seem, is what makes the impossible possible. The island of Motunui holds Moana, daughter of Tui and chosen one to return the heart to Te Fiti. Her perseverance through every obstacle gave her more and more strength to complete the task of returning the heart and showing kindness to the world. Having the ability to harness superhuman strength or levitate isn’t what the definition of a hero typically is. Heroes are strong, but not always physically; heroes are powerful, but not through their fists or iron suits; heroes are tall, short, big, small, men and women. Disney on Ice’s Dare to Dream displays some of their most powerful heroes and shares the most beautiful life lessons.